Guest author Adam Lehrhaupt speaks to students at Green Meadow Elementary School. 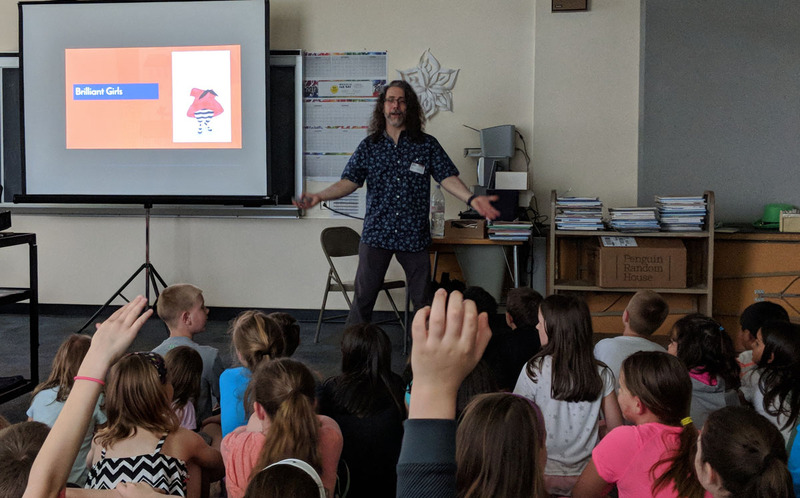 Green Meadow students learned about story elements, characters and how to write a complete story from children’s book author Adam Lehrhaupt last week. Mr. Lehrhaupt gave three presentations throughout the day as part of a PTO-sponsored author visit. 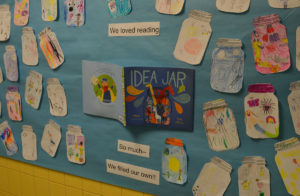 The morning session with kindergarten and first grade focused on creating a character by deciding not only what the character looks like, but what the character wants in the story. Using ideas and input from the students, Mr. Lehrhaupt helped students create three new characters and he encouraged the students to continue to create new characters to write about. In the afternoon sessions, Mr. Lehrhaupt discussed story elements with students such as protagonist, antagonist, setting, plot, climax and summary. He used examples from children’s literature and movies to explain each element to students.